Two of China's most sought-after actresses, Li Bingbing and Zhou Xun will collaborate for the first time in a decade in an espionage film, their company announced on Thursday. The stars, both with the country's leading entertainment company - Huayi Brothers, will lead the World War Two film "Feng Sheng" ("Sound of the Wind") which Huayi Brothers are making as a tribute to the 60th anniversary of the founding of the People's Republic of China. "Sound of the Wind" is set in the 1940s during the Japanese invasion of China. Zhou Xun plays a decoder and Li Bingbing plays her boss. 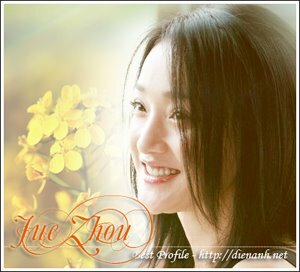 The two actresses' only on-screen appearance together so far was in the 1999 historical TV series "Daming Palace", in which Zhou Xun played the protagonist while Li Bingbing only had a cameo role. "Back then, we didn't really have the chance to work together," Li Bingbing said at Thursday's press conference, "I'm looking forward to it this time." Besides Li and Zhou, "Sound of the Wind" also features a star-studded male line-up, which includes "The Assembly" star Zhang Hanyu, who plays an army chief and heartthrob Huang Xiaoming, who impersonates a Japanese spy. The film will be co-directed by "Tokyo Trial" director Gao Qunshu and Taiwan filmmaker Kuo-fu Chen. Filming is slated to begin on February 5. "Sound of the Wind" was adapted from award-winning writer Mai Jia's novel of the same name. The author's previous suspense novel, "Plot Against", won last year's Mao Dun Literature Prize, one of China's highest literary awards.